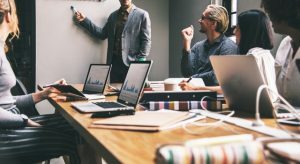 A reader asked, “Craig, I’m a busy CPA and there are times of the year—like tax season—when work hours are extremely long and come with high-stress deadlines. These are the times when it becomes quite challenging to maintain ideal morning and evening routines. It’s a great question—and a timely one. As an entrepreneur, I struggle with this as well—particularly during product launches and big events. For example, my stress always peaks during the annual three-day Perfect Life Retreat. I play host to 300 attendees and lead sessions running from 7 a.m. to 10 p.m. every day. It can be exhausting—without the proper planning. Here’s how I get through it: I create time management and productivity routines that, over time, become second nature. We must build strong habits when our workload is moderate in preparation for times when stress is great. High-performing athletes are a great example of these routines in action. They must practice, practice, practice when the pressure is off so that they can win the gold medal when the pressure is on. Look at the young American figure skater, Nathan Chen. At 18 years old, he just competed in his first ever Olympic games. High pressure? Just a little—but he practiced incessantly for the opportunity. And yes, practice doesn’t guarantee success. Even Chen fumbled his first Olympic skate. But do you know what happened when the pressure was off (on the final day of competition, when the figure skating prodigy sat in 17th place far outside of medal contention)? Chen was able to perform without stress, and relying on his perfect practice, rituals, and routines—his second-nature abilities—he went out and delivered a historical performance, completing a record six quad jumps in one routine. How does this relate to you as a CPA? Well, you need to practice, practice, practice. But you need to practice perfectly, because perfect practice makes perfect. You need to build habits of steel in the few weeks you have before tax time. With those second-nature habits in place, you’ll make it through with minimal stress. 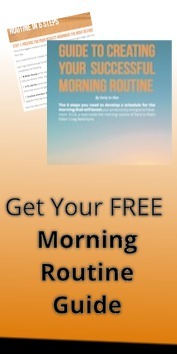 Build the Perfect Morning Routine so that you start every day focused and energized. 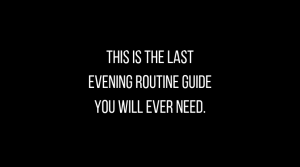 Build the Perfect End-of-Day Routine so that you are perfectly prepared for the next morning—no matter how crazy things get. Build the Perfect Pre-Bedtime System that allows you to quickly fall into deep sleep, even when your bedtime hours are limited. 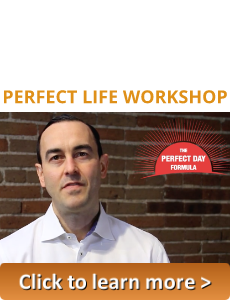 Build the Perfect Time-Hacking Systems that eliminate the inessential (such as unnecessary meal prep, social media distractions, and email correspondence). When high-pressure times hit, you’ll be able to rely on these four tactics to improve your performance on what’s most essential. But let’s actually put this into action so you can see how effective these strategies are. I’m going to steal a trick from Tony Robbins’s version of “priming” here. As soon as you wake up, you need to “change your state” as fast as possible. Tony does a cold plunge into his pool. Tony’s friend, a successful entrepreneur and speaker, Ed Mylett, jumps into the ocean at his home in California or in the lake at his vacation home. 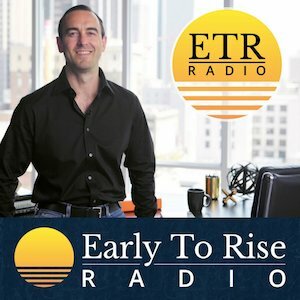 Listen to the first 15 minutes of Ed’s podcast here. He explains the importance of this state-changing routine, and why it works. The premise: Activating your sympathetic nervous system pushes you into a state of mental alertness. Once alert, you can dive into your Morning Routine focus exercise(s) right away. This may seem stressful, but it’s actually the opposite. You’re not giving your mind the opportunity to dally in doubts and excuses, compounding your stress. You’re acting, not thinking about acting. This is where a goal and time journal is extremely helpful. Take a few minutes every evening to write down any potential morning obstacles alongside your top goals. Think through each. How will you handle the obstacles when you face them? And what are the steps you’re going to take to check your goals off your list—before you even leave for work? This activity is about more than just mapping out to-dos. You’re actually structuring success in your mind, which automatically reduces the stress induced by flailing around during chaotic mornings. You know what to expect and how you’re going to tackle it. I will get up immediately. As soon as you wake up, remember the promise you made to yourself the night before. It also helps to keep your alarm clock across the room so you have to get up and change your state immediately. While this is tricky if you share your bed with someone, not wanting to wake them up also makes for a powerful motivator to get out of bed on time! I’ve talked about this a lot, and the idea is simple: Grab a time journal (it can be the goal-setting journal mentioned above, modified for time-blocking) and separate out the main 2-3-hour time blocks in your day. Now fill them in with your most important to-dos. Keep an eye on your top goals as you do this, and make sure you’re accomplishing those that are at the top of your list. There are all kinds of productivity benefits to this strategy. With a time-blocking system in place, you’ll recognize shortcuts in your daily routine, things that don’t work and must be avoided, and things that work almost instantly to improve your mood, memory, and success. Sometimes, boosting productivity is as easy as swapping that 4pm giant coffee with a soothing peppermint tea. When you know what to expect and what to accomplish throughout your day, your stress will be cut in half. I want to close with a personal example of these methods in action so you can see that they actually work. When we hosted the Perfect Life Retreat last November, I assumed I would be operating on a paltry four hours of sleep for three days straight—while somehow being engaged enough to shake hundreds of hands. I knew I had to ditch my energizing workouts and would be spending very little time on meals. Even my wardrobe changes needed to be timed! My exercise routine was more intense in advance of the retreat so that I could use my three days on stage as recovery time. My meal needs were outlined and communicated to staff so that healthy food was available whenever I had a break. Most of this was easy to eat by hand. I completed my own mental walkthrough of the event to be sure that I had all of my health needs covered. We planned a post-retreat recovery so I could quickly get back to 100%. As you might assume, keeping this plan on track required a solid Morning Routine, end-of-day and pre-bedtime planning, and careful time-blocking. But all of this was second nature to me. I just had to apply the strategies I had used for years to a new setting. Reducing stress is really all about mapping out your own success and removing obstacles to productivity. Take advantage of these tools and you’ll find that tax time—or any high-stress time—is easily manageable. A Morning Routine is just the start to a Perfect Day. Aren’t you ready for the wealth-building, fitness-fired, free time-filled success you’ve been dreaming about? Work less. 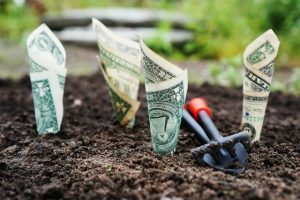 Make more money. Spend more time on what matters. 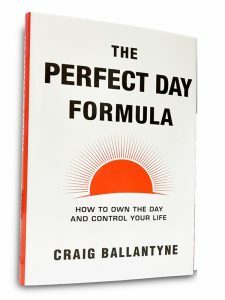 The tools to make it happen are all available in “The Perfect Day Formula.” Get your copy here—for FREE.